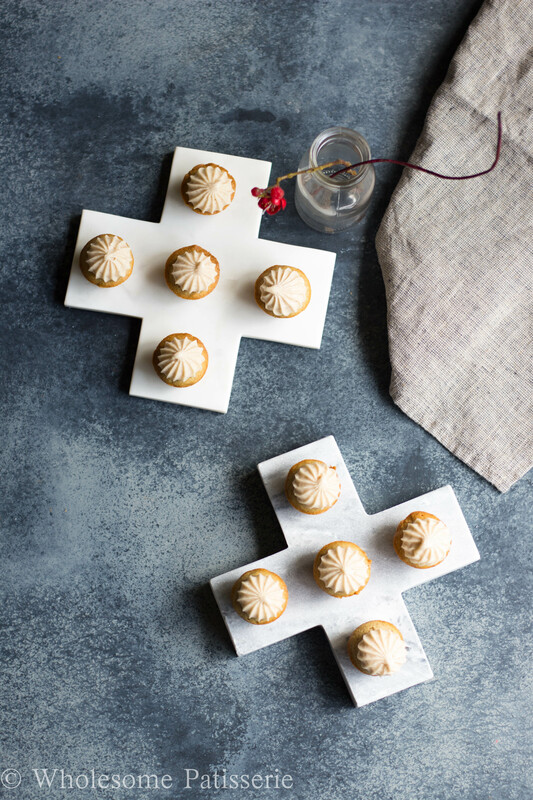 A new week and a brand new cupcake recipe. 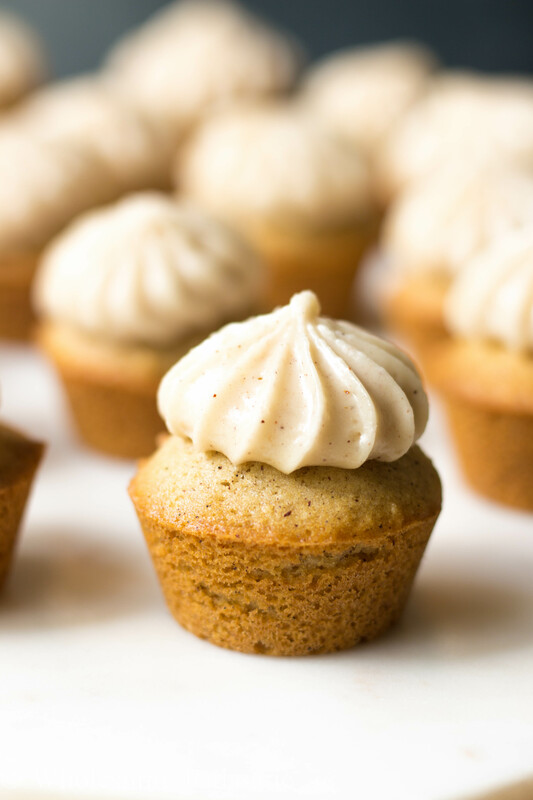 Honey Cinnamon Cupcakes, mini sized! I’m so excited to share this delicious recipe with you. For months now I’ve wanted to create a honey flavoured frosting with a touch of ground cinnamon. 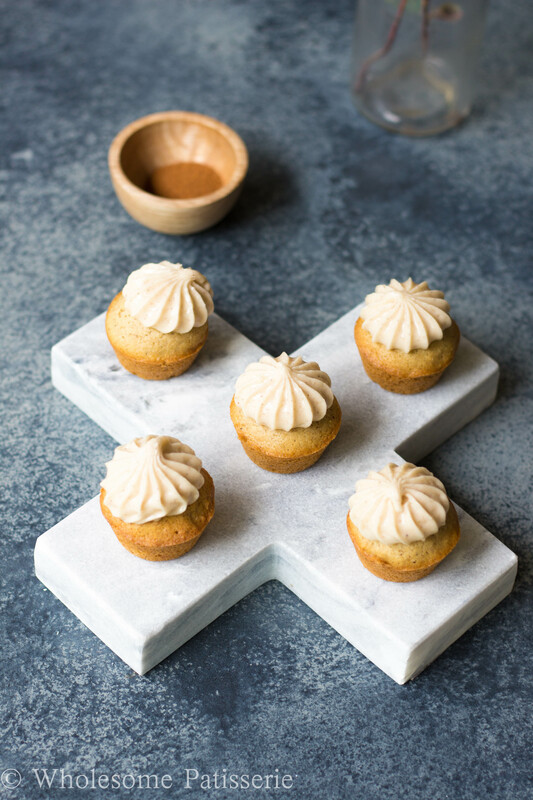 It turned out perfectly and paired with these fluffy cupcakes, you will fall in love. I know what you might be thinking, honey and icing sugar together might be a tad too much sweetness for you? I promise you its not overpowering, the cinnamon cuts through the sweetness and adds the perfect amount of savoury to the frosting. 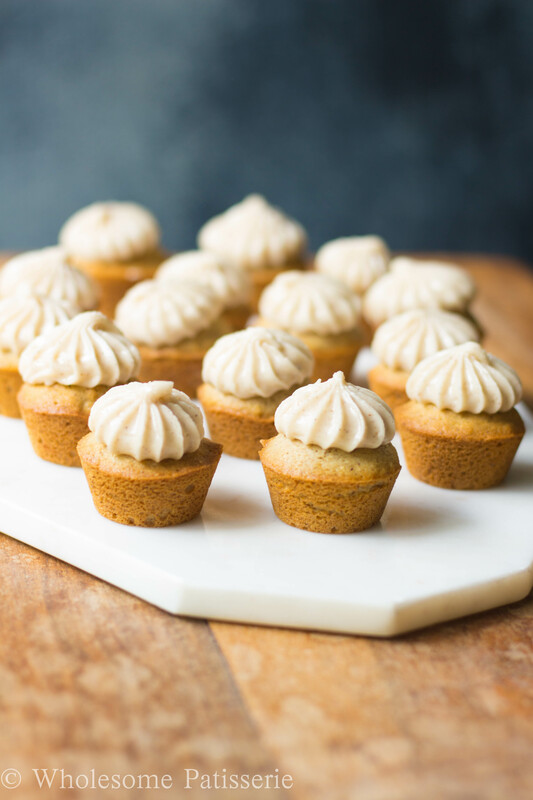 If Autumn was a cupcake, they would be these Honey Cupcakes. I decided to make these cupcakes mini and i have to say, they are adorable and you can eat at least 2-3 of this beauties in one sitting. I’m just thrilled with how the cake turned out, it’s always a risk in creating a new gluten free cupcake recipe, I’m still learning about what flours work best together to achieve the classic, fluffy and flavoursome cupcake. I used my favourite gluten free all purpose flour blend, works every time. 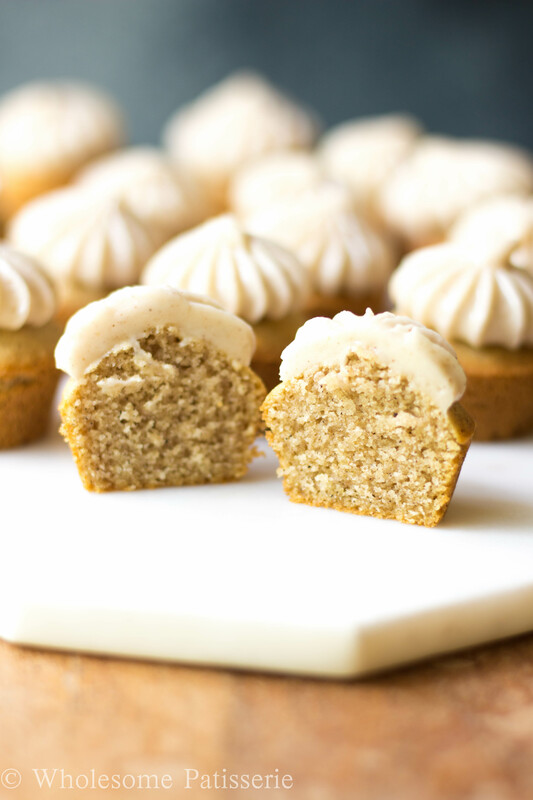 I hope you enjoy my Honey Cinnamon Cupcakes, try not to eat them all at once! Preheat oven to 180ºC (356ºF) and grease a 24-hole mini cupcake pan with coconut oil. In a large mixing bowl, whisk flour, almond, baking soda, salt and cinnamon together. In a small mixing bowl, combine eggs, coconut oil, vanilla, maple syrup and milk, mix well. Make a well in the centre of the dry mix, pour in wet mixture. Gently fold wet into dry until just combined. Removing any lumps. Spoon batter into mini cupcake pan, fill them 3/4 of the way up. Bake for 8-10 minutes or until slightly golden and a toothpick comes out clean, making sure not to over bake. Let cool in pan for 2 minutes then remove to a cooling rack to cool completely. Pour in honey, beat well. Add cinnamon and whisk frosting for a further 1-2 minutes or until light and fluffy. Pipe a dollop of frosting on each mini cupcake, i used a Wilton 4B piping tip. 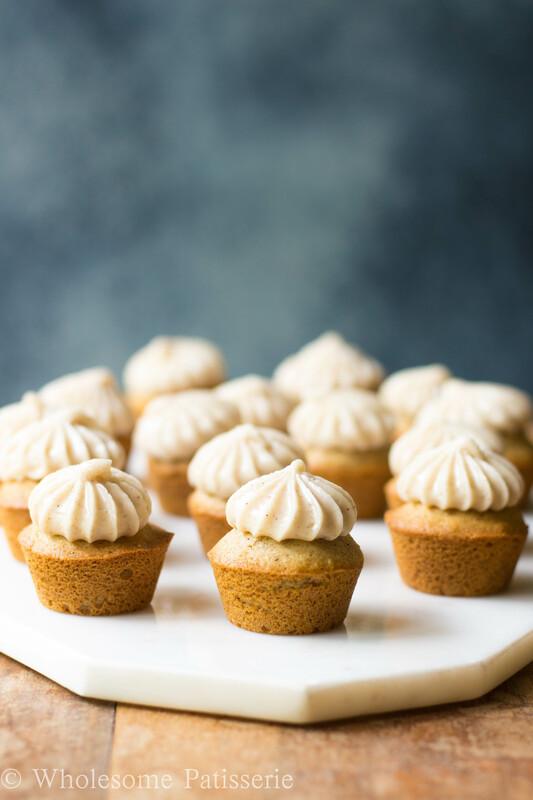 Store mini cupcakes in an air-tight container, in the pantry for 1 week - 10 days. Hi! I am curious if there is a different substitute for the almond meal? Could I Just add more flour? I need to bake without nuts. Thanks! Hi Dina, apologies for my very late response to your question. You can definitely just add more of the flour, same quantity as the almond meal, it will just be a slightly different texture in the end product but nothing drastic. Hope that helps! Can your icing be any more perfect?!?! Looks and sounds amazing! I bet they smelt lovely when they came out of the oven. These cupcakes are super cute! I love the flavor combo of honey and cinnamon, so simple yet so satisfying!